2014 Avalon Catalina DRL - 24' The Catalina DRL provides a comfortable spot for everyone. Surrounded by Deco style walls, the DRL's unique, extra roomy interior with double wide rear lounge can be used for sunbathing, a gathering place for conversation, or playing games with kids. 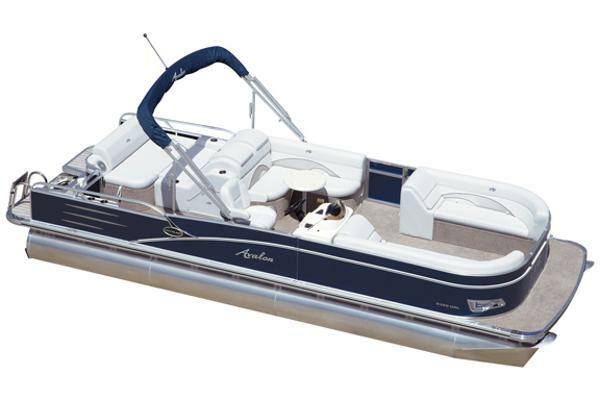 Enjoy plush seating with exclusive Matrix 50 Vinyl, large 25" pontoons, and superior construction. 2015 Avalon Catalina - 24' DRL 2015 Models Available NOW!- Best pricing in the USA Guaranteed!Helm & StereoEnsign fiberglass helmLevel 2-13 woodgrain dash panelTach, volt, fuel gauges12 volt power pointWindshield w/ quick releaseJensen MS2013BT Bluetooth radioAux port for radio6 high power stereo speakersBlack grip steering wheel chrome spokesCourtesy lightCaptain's helm chairConvenience & AmentitiesRear starboard aluminum ladderStorage in lounge arms4 SST U-bolt/cleat comboFurnitureDouble wide rear loungeRound table w/ 4 cup holdersCarpeted aluminum seat frames & flo-thru ventilationMatrix 50 seat vinylCaptain's chairChair adjustment - slide front-back, rotateWhite base seat vinylFlooringDiamond CarpetVinyl - rear deckInterior & Exterior LightsCourtesy light on helmUSCG navigation lightsConstruction & AppearanceRadius front wallsDECO 3 walls - multi level lock stripped aluminumDome Avalon logosImpact resistant cast corner capsTapered front deckHeavy duty rub rail with black rubber insertNon-skid vinyl strips for entry gatesHeavy duty hat channel crossbeamsDual full risersTop/Enclosure/Cover8.5' x 10' Bimini top w/ 1.25" sq. 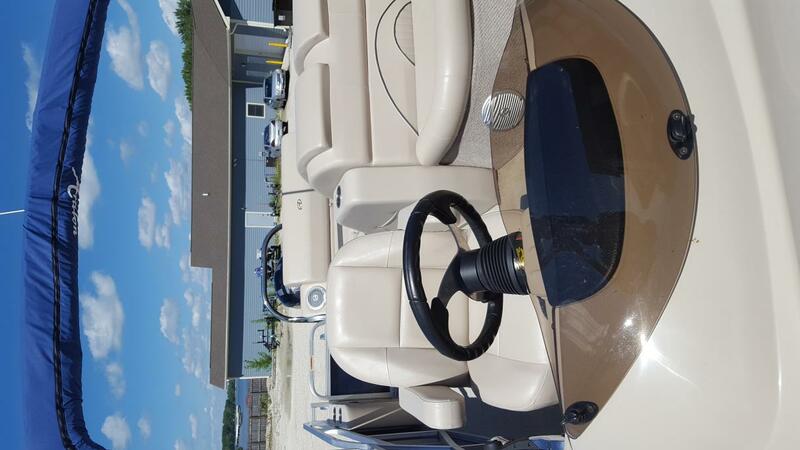 tubingBrushed quick connectsPerformance & Steering25" pontoonsFuel Tank - 24 gallon transom mountMechanical tilt steering When you can have the whole family on a craft that has plenty of together room it is the best of times. In addition to lots of traditional seating, the Catalina DRL has a huge double wide rear lounge so lots of people can gather and talk, ride, relax and sunbathe. This is a GREAT PONTOON FOLKS! Unique interior design to enjoy the sunshine this summer. Many engine packages available-Triple log options as well. In Stock Today! call for more information regarding our low payments. 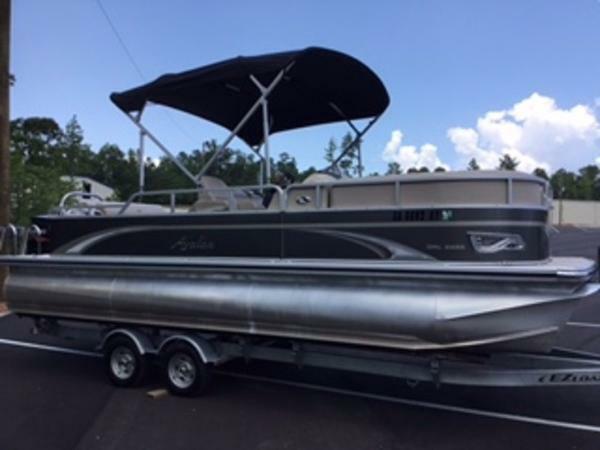 2014 2014 Avalon 24' Catalina DRL (White Flake) Options Include, Mooring Cover, Bimini Top, 6 Jensen High Powered Speakers, Seastar Tilt Steering, Full Flooring, Mood Lighting, Lights Under Rub Rail, High Performance Lifting Fins, 25 inch Center Pontoon System, 25 Gallon Fuel Tank, Side Keels, Chrome Docklight Assy, Platinum Package, Outboard Ski Tow Bar, Stainless Cupholders, 7 Light Cupholders, Privacy Station Rail and Curtain, Round Table, 25" Pontoons, for more information call and ask for Jerry.